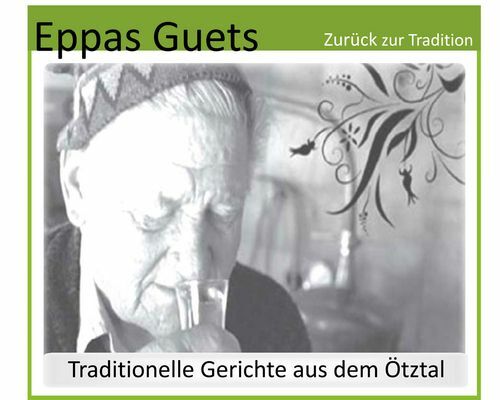 "Eppas Guets" - the recipe book with history. The perfect recipe book for all supporters from the Oetztal kitchen and those who want to become. Here you can find traditional recipes from the Oetztal kitchen. From different soups to main courses and even to traditional liquors. This book is available in the hotel for € 35,-.